I get an error (when I comment I don't get the error). Error: Call to undefined method stdClass::getName() in HTML_QuickForm->accept() (line 1686 of csites\all\modules\civicrm\packages\HTML\QuickForm.php). Is that a correct method and if not , how can I debug that further based on the error log. 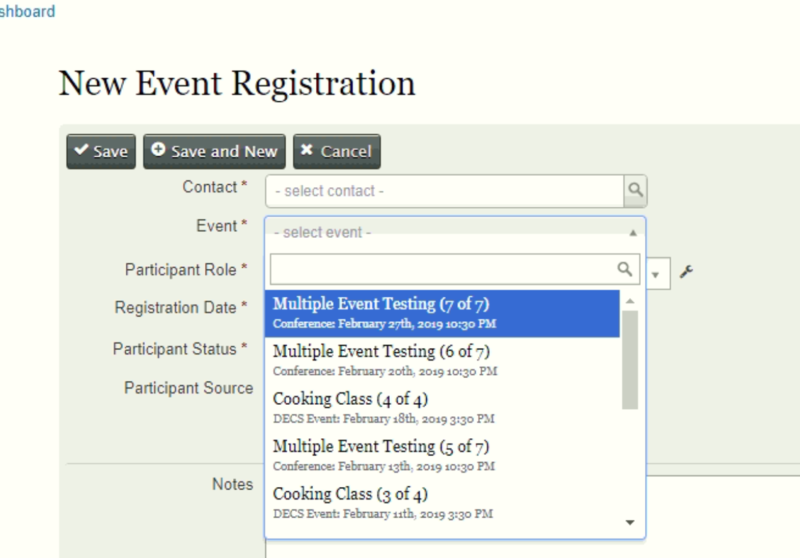 The event field on participant form uses event api to retrieve events. You can easily alter the list by implementing hook_civicrm_apiWrappers hook by adding additional parameter to exclude recurring event in $params of api probably 'parent_event_id' => ['IS NULL' => 1]. Or using buildform hook try adding parent_event_id condition in data-api-params of the field(element).